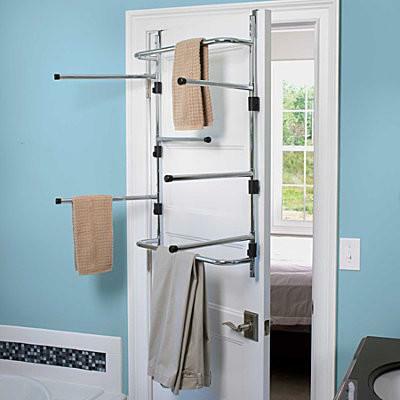 Space saving ideas transform our life, improving functionality of our homes and office designs. 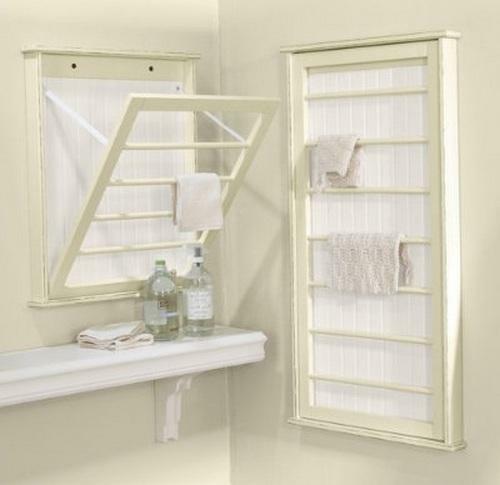 Space saving interior design can be simple and elegant, inexpensive and very practical. 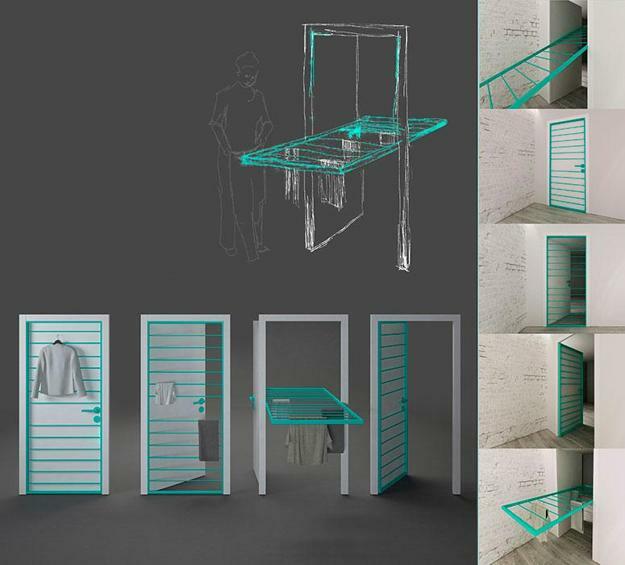 Lushome presents a design idea developed for International Design Award competition organized by Hettich and REHAU. 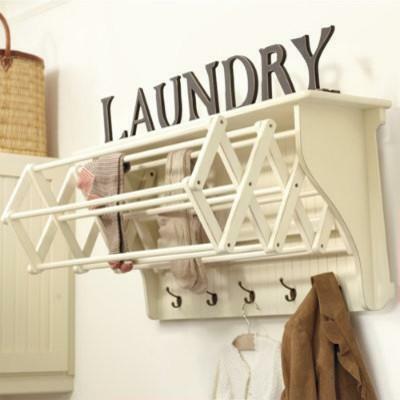 The design turns an ordinary door into a user friendly and eco friendly drying rack. 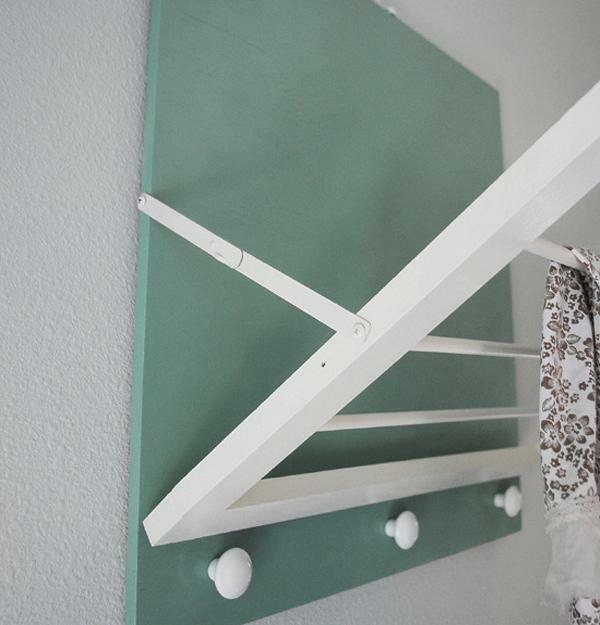 The ingeniously simple space saving idea is one of the winners. The expert jury consisted of influential people in art and industrial design: Bruce Gordon (USA), Max Lamb (England) and Louise Robinson (Philippines). Within a few days, they carefully studied design projects to select the most original and promising design ideas. The door with metal rods is presents by Anita Kokoztsik, a student at Krakow Academy of Fine Arts in Poland. 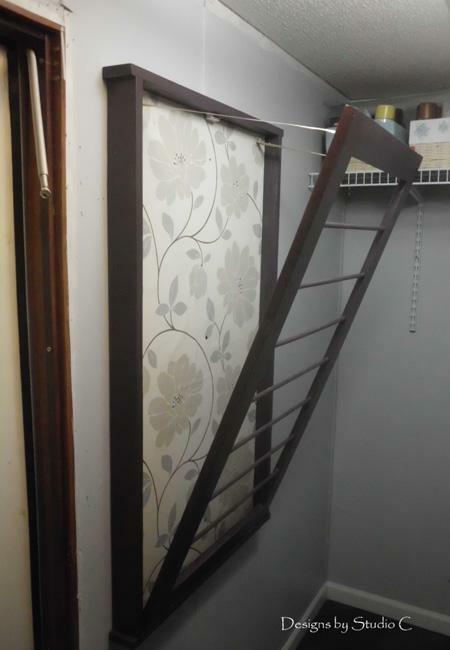 The door with metal rods is ingenious and actually very simple. 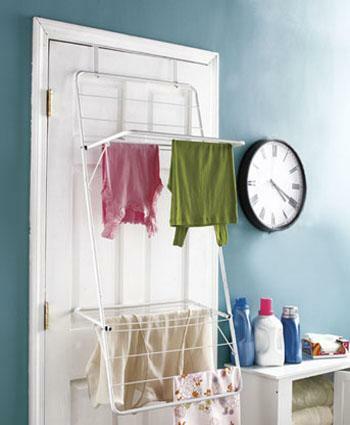 The door with the metal rods can serve as a rack for drying clothes or their storage on hangers. 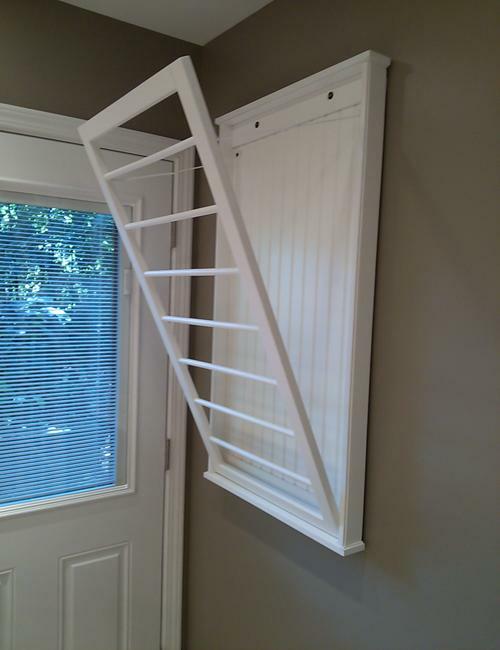 This door can transforms, allowing to maximize small spaces. 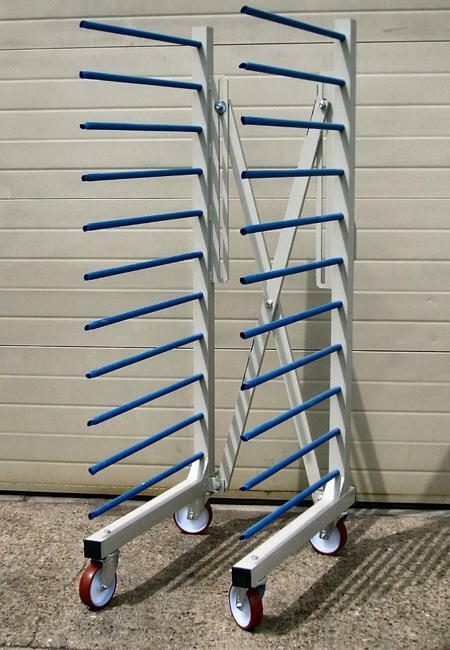 The space saving design idea offers an ideal solution for small apartments and homes. 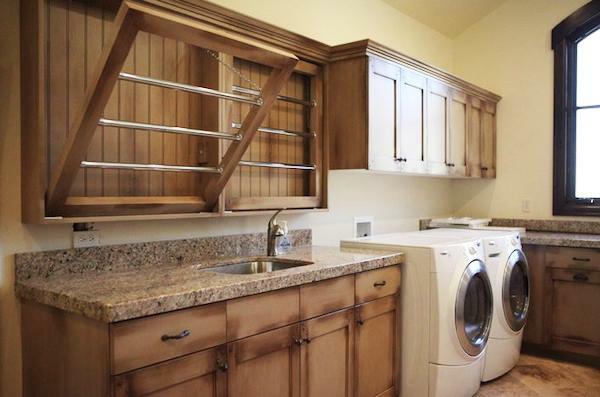 When used as a rack for drying clothes, this door adds an eco friendly design to support Green living ideas. The potential for creating multifunctional doors and windows is great. 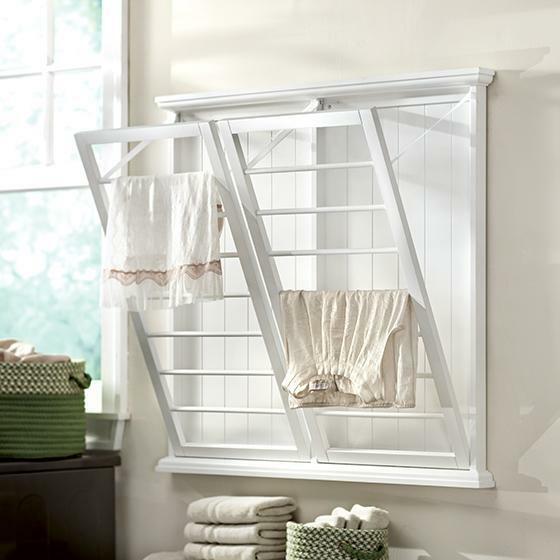 The experts see how doors and windows frames can be improved for space saving design.